Thank you for attending the press conference today. 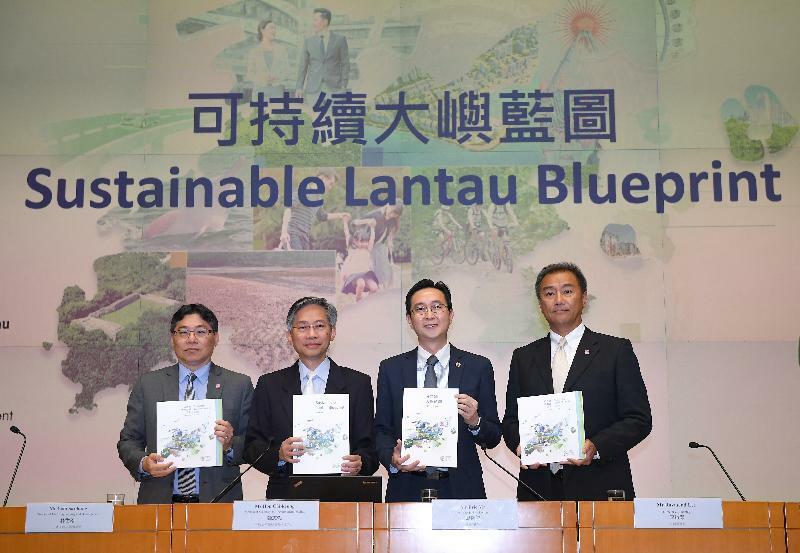 We will introduce to you the Sustainable Lantau Blueprint, which maps out the future direction of "Development in the North and Conservation for the South" for Lantau. The expansion of the Hong Kong International Airport into the Three-Runway System will strengthen Lantau's position as an international transport hub while the development opportunities arising from the Guangdong-Hong Kong-Macao Bay Area will enhance Hong Kong's status as an international financial, transportation and trade hub. Upon completion of various infrastructures on Lantau and in its vicinity, Lantau will be the "double gateway" connecting Hong Kong to the world and the Greater Pearl River Delta. Occupying a strategic location, there is a good opportunity for the development of bridgehead economy in North Lantau. Formulation of the Blueprint aims to tap these opportunities to provide land for housing and economic uses as well as offering development opportunities to achieve a more balanced spatial development pattern for the territory. The Blueprint is formulated under the principle of a fine balance between development and conservation. North Lantau and the East Lantau Metropolis will focus on housing and economic developments while Northeast Lantau is poised to be a leisure, entertainment and tourism node. The predominant part of Lantau, particularly in the South, will be for conservation and cultural and eco-tourism purposes. Now, I would invite our Permanent Secretary for Development (Works), Mr Hon Chi-keung, to brief you on the content of the Blueprint.